Ultimate eBook Converter 3.0.9 was available as a giveaway on November 10, 2017! How would you improve Ultimate eBook Converter 3.0.9 ? UPDATE: I have had a frustrating time trying to make the 'support team' understand that their software doesn't work for the new Kindle files and software. They are stuck a couple of generations back. "We want to help you solve your problem, but it seems you do not want to.​​"
​Untrue. It is clear to me that when it comes to Kindle books you don't know what you are talking about. All of your 'advice' refers to old versions of Kindle - the new version is a massive rewrite of the software. You keep referring to commands which the new software does not implement, and to files which are no longer in use. If you want to continue with your software, you will need a modern computer with Windows 10, 64 bit. There is no way I would let anyone into my computer remotely. Programs such as "TeamViewer" are intended for local use on intranets. It is highly improper to suggest their use over the web. And you would have a massive liability if you did do this. Go back and study the new Kindle system. You are out of date - your software cannot process the new Kindle files. UPDATE: I have had a frustrating time trying to make the 'support team' understand that their software doesn't work for the new Kindle files and software. They are stuck a couple of generations back. ======================================================================================= "We want to help you solve your problem, but it seems you do not want to.​​" ​Untrue. It is clear to me that when it comes to Kindle books you don't know what you are talking about. All of your 'advice' refers to old versions of Kindle - the new version is a massive rewrite of the software. You keep referring to commands which the new software does not implement, and to files which are no longer in use. If you want to continue with your software, you will need a modern computer with Windows 10, 64 bit. There is no way I would let anyone into my computer remotely. Programs such as "TeamViewer" are intended for local use on intranets. It is highly improper to suggest their use over the web. And you would have a massive liability if you did do this. Go back and study the new Kindle system. You are out of date - your software cannot process the new Kindle files. Would you please forward the registration code as I had to contact Epubor for instructions on how to download the app. Read Read me. It is written there that ""IMPORTANT: please note that due to the Themida wrapper usage your installation might be blocked by your antivirus (AVG, Avast or Kaspersky)!" I can't believe this is even legal. Stripping books of their DRM is stealing and opens up the way to piracy. This absolutely disgusts me and as an author I'm furious that this came up on my search engine. You must be new to this planet. See, there are these places called "public libraries". IN fact, "FREE public libraries". I tried many times to download it but could not. J.S.Mozart, read the Read me file. It is written there that ""IMPORTANT: please note that due to the Themida wrapper usage your installation might be blocked by your antivirus (AVG, Avast or Kaspersky)!" I tried 3 times to install it but could not. David Harris, you can search "Ultimate" on your computer if you ensure you have installed it. You may do not know where you have installed it. David Harris, you can search "Ultimate" on your computer if you ensure you have installed it. You may do not know where you have installed it. David Harris, did you read all the readme.txt file supplied in the giveaway bundle? There is usually instructions in it about the problem you are experiencing. David Harris, read the Read me file. It is written there that ""IMPORTANT: please note that due to the Themida wrapper usage your installation might be blocked by your antivirus (AVG, Avast or Kaspersky)!" The program seems to work ok with Kindle files but not at all with Kobo. Yes, it seems to remove the DRM, but it does not then convert it to a PDF. I tested with three or four books I purchased for my Kobo device. I was ready to purchase via the special offer, but maybe/likely not now. StephenB, Epubor Ultimate can handle Kobo books. Epubor Ultimate is the first software on the market can handle Kobo ebooks. Do you purchase the Kobo books or get it from Kobo plus? Is there any error message when you try to remove the DRM from these Kobo books? Please sent the answers to support@epubor.com. They willl help you solve your problem. StephenB, Epubor Ultimate can handle Kobo books. 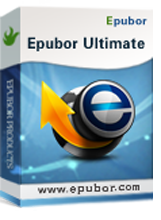 Epubor Ultimate is the first software on the market can handle Kobo ebooks. Do you purchase the Kobo books or get it from Kobo plus? Is there any error message when you try to remove the DRM from these Kobo books? Please sent the answers to support@epubor.com. They willl help you solve your problem. Very pleased to get this. I only had it on a dead laptop. I *WISH* that there could be 2 sections for comments: 1 section ONLY for download + installation issues, and another section ONLY for reviews of the software program itself -- how it performs, are the graphics nice, does it easily solve a problem, is it fun to play, etc. Thanks. Weird. Worked fine for me. I had to disable AVG. tazfan56, Yes, although I think you can get it from inside the program. tazfan56, Yes, although I think you can get it from inside the program. But you have to provide your email address to https://www.epubor.com/promotion/giveaway.html That generates the code. Jim Jones, we are on two differing wave lengths...I did not get the emailed link from Give Away of the day to download the program as a give away. I put my email address into the space provided and got the "link was sent to your email address" but it never appeared. I love this program! Perfect for converting epub files into mobi for my Kindle. Also like how you can download covers. Thanks for this giveaway! Aaron, Do you also use Calibre? I use it to go mobi -> epub. Jim Jones, but Calibre can not handle the latest Kindle eboooks--kfx, but Epubor Ultimate can handle kindle kfx format which is the first and only tool on the market for now. Unfortunately it can't find my Kindle books and the instructions given don't work. My searches for those books or for *.kfx files have failed although I have several books downloaded. I'm using the Kindle/PC app provided with Windows 10. @iris, Unfortunately it can't find my Kindle books and the instructions given don't work. My searches for those books or for *.kfx files have failed although I have several books downloaded. I'm using the Kindle/PC app provided with Windows 10. Jim Jones, please contact support@epubor.com about your problem. I am sure you problem can be resolved. rich, I would use Sigil combined with Google Translate. The registration code is not compatible with your license email. So, what is wrong here? Have I just wasted my time? Is this program worth wasting more time? Follow directions to register, get code "xyzlxj@gmail.com", use the email that sent code as directed, get the following error message: The registration code is not compatible with your license email. So, what is wrong here? Have I just wasted my time? Is this program worth wasting more time? R Lawlis, this "xyzlxj@gmail.com" is not the license code. Please contact redeem the code again. Or you can contact the support@epubor.com about this issue. You have to enter your email address online (see Readme.txt) and then code will be sent. R Lawlis, the code is 5 groups like TKYFW63-WVQTGS You have to enter your email address online (see Readme.txt) and then code will be sent. for the free licence but receive no response. Something seems to be wrong here. Three times I've entered and posted my particulars for the free licence but receive no response. I was wondering if this program will take a word docx. and change it to the readers also ? So that i can sell a book on all of the readers sites. Thank you very much for the info. Do not want to have to change it one at a time if it is possible. I was wondering if this program will take a word docx. and change it to the readers also ? So that i can sell a book on all of the readers sites. Thank you very much for the info. Do not want to have to change it one at a time if it is possible. Edward, I looked into my copy of the program and the answer is yes. Epubor can convert docx. downloaded files, ran setup; without even beginning installation, window with "activating" message and then immediately afterwards "successfully activated"
put setup on firewall and avast antivirus exception list. aspatli, the problem is your antivirus software. Deactivate it until the installer is decrypted and it will work. I have AVM. AVM is owned by Avast and has the same issue. The antivirus has issues with the wrapper this site uses. However I trust this site and have never had a virus from the wrapper. If you are feeling timid, download, scan, deactivate the antivirus, start the installation and switch on the av again as soon as the first installation panel is visible. aspatli, the problem is your antivirus software. Deactivate it until the installer is decrypted and it will work. I have AVM. AVM is owned by Avast and has the same issue. The antivirus has issues with the wrapper this site uses. However I trust this site and have never had a virus from the wrapper. If you are feeling timid, download, scan, deactivate the antivirus, start the installation and switch on the av again as soon as the first installation panel is visible. Halasi Miklos, do not worry. This is one of our working email. Dan, please restart the software and run it again. If the same error occurs, please contact support@epubor.com with the detailed information. They will solve your problem. The program installed successfully, but I am unable to remove DRM from a Kobo book. I am able to add the book, and the program recognizes that the file is protected by Kobo DRM, but give me an error message stating: "Unknow error, Dear User, your book is protected by a kind of DRM we do not support". I can't find anything on the Epubor website that addresses this problem, although the website states that by default Kobo desktop stores purchased files as KEPUB format, while my book has an .epub extension. I can read the book in Kobo desktop (Windows) without a problem. Any advice on how to make this work? Allan, do you get this book via Kobo plus? If yes, this is an rented books. Our software does not support rented book. If you want to decrypt this book, you should be the owner of this book. iris, I did not get the book from Kobo plus. It is not rented. I bought it from Kobo last February. Received the download mail OK but tried a few times and not received the activation mail. I have a questions for Iris. Will Epubor remove the DRM from Kindle Fire books? Or will it only remove DRM from eInk or books downloaded directly to a computer? Thanks so much for your help. I have entered my email 3 times and still do not the license code. Been trying for the last hour. I even tried a different email address. Mariana, please ensure you are using the right email address. Or you can contact the Epubor support: support@epubor.com about this issue. How long do potential users have to use this Special Offer: Upgrade Lifetime License Just $20.00 (60% OFF on $49.99) ??? StephenB, this is lifetime license. You can use it as long as you wish. iris, I'm sorry if I didn't express my question correctly but thanks anyway for your helpful answer. I really wanted to know how long the special price offer is open for - today only, six months, or ??? StephenB, this special offer will be valid for two days. So we suggest you purchase it now! iris, What does the upgrade do? It was confusing. Unfortunately it won't install on Windows XP x64, asks for SP3, however I thought the previous time it was offered it had been OK, unfortunately had to do a reinstall recently so lost that version. Remember it working very well, though. what is the purpose of removing kindle formatting? Is there any way to decrypt books obtained via Overdrive or libraries? Harry Mangurian, Calibre (free software) has removed DRM and time-specific borrow limits from anything that I have ever thrown at it, including digital library books and Kindle books. You can also change the books to any format that you'd like (e.g. Kindle to epub). It organizes your books into a searchable database and also contains an e-book reader. Harry Mangurian, I should have mentioned that Calibre does not remove DRM unless you also install a separate free DRM removal program. You can easily find it if you Google "Calibre DRM removal". I downloaded, installed, and received a registration key via e-mail. However, I don't see anywhere to put it. (Perhaps it comes already registered?) How can I tell if my copy is registered? Thanks. Riverboatsam, when you run the software, you will see a yellow "key' icon at the top right corner. Please just click this key, the registration window wil pop up. Just ill in your license email as well as the license code to register it. I've been using Epubor in its various forms for a few years now. Assuming nothing goes awry with this installation, I am going to finally spring for a lifetime copy - it's that good. I use Epubor to strip the DRM, and then either it or Calibre to convert to my preferred format (mobi). Then I use Calibre as the Library and transfer the books to/from my E-reader. I don't have to worry about losing my books if (when) my e-reader or battery fails - they are safe, DRM free, and can be transferred to a new E-reader. I wish someone would do the same DRM removal for magazines, but apparently Zinio has those locked up, which means I simply don't buy e-zines. I see there's an "ALL" version in addition to the "Ultimate" version with which I am familiar. Can you tell me the difference twixt the two, please? Thank you for a great product, and thank you GAOTD for hosting this. Riverboatsam, thank you for using our software. 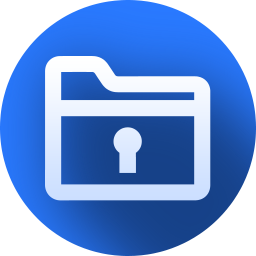 Epubor Ultimate =all DRM Removal+ebook format converter. For decrypt the magazine, please send your suggestions to Epubor support:support@epubor.com. They will consider it seriously. Riverboatsam, thank you for using our software. 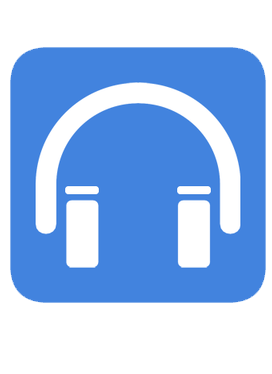 Epubor Ultimate =all DRM Removal+ebook format converter. For decrypt the magazine, please send your suggestions to Epubor support:support@epubor.com. They will consider it seriously. Bre, would you please send this issue to Epubor support : support@epubor.com. They will solve your problem ASAP. Bre, would you please send this issue to Epubor support : support@epubor.com. They will solve your problem ASAP. I have been running this but version 3.08 for not quite a year. It did not work for Kindle e-books at first simply because the Kindle version on my computer would not allow it. After investigating, I had to reinstall the Kindle book version 1.17 on my computer as the Kindle updates no longer would allow the conversion. My current copy of Ultimate is 3.08 and I have a life-time license. So thanks for this offer, but I think I will keep with the 3.8 license and everytime I open Kindle, I refuse the update. Just wanted to pass this along. Now if this 3.9 works with the most recent Kindle app installed on your computer, that would be great news. hi there, this version will handle books downloaded via Kindle for pc/mac1.21. So it can decrypt and converter kindle kfx directly. We are proud to say that Epubor Ultimate the first and only tool for now. i clicked the license request page three times over the past three hours. Each time, the page says "Epubor Ultimate Download URL, License has sent to your email, please check! ", but no license has been sent to my Gmail inbox or spam filter yet. Jim, please change another email address to have a try. Please add support@epubor.com to your email white list. press the redeem button and said code sent to my email but actually nothing...try twice but in vain. Miso, please check your email box again, even spam. If still have not received it, please send a email to epubor.iris@gmail.com. I will send the code to you! I register successfully but can not convert epub to pdf. It recommends to use the online version to convert. Why ? This Epubor Ultimate did can convert epub to pdf. davidson, please contact the customer service to solve your problem. support@epubor.com This Epubor Ultimate did can convert epub to pdf. Harry, you do not download the software, so you do not know how fast the conversion is and how easy the software is. Harry, I have calibre and it does NOT remove DRM. Harry, exactly. Something in addition to calibre needs to be installed. There are several options for this, one of which I have used. The DRM has to be removed before Kindle books can be converted. Just registered and registration said that it was not compatible with this version. ? Eddie, that's because this giveaway is only for windows version. So the registration code is for Windows. If you are using Mac, it will be not compatible. Eddie, we will arrange a Giveaway for Mac VERSION later. Iris , I am using windows 10. I have just retried and it is working. Why I don't know why but thank you and I will check out the software.